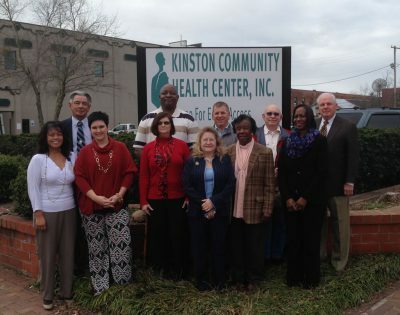 The Advocacy Task Force is a committee dedicated to the expansion and grassroots networking for and within Kinston Community Health Center. Committee members receive briefings and background on emerging state and federal issues, enrich understanding of the political process, and expand outreach to others. The Advocacy Task Force also mobilizes and motivates responses to state and federal Action Alerts and Calls to Action whenever issued, generate media and community awareness activity during National Health Center Week and other strategic times, and assists in organizing community health center voter registration and engagement activity. Kinston Community Health is proud to partner with Community Health Vote, offering non-partisan voter registration assistance to our patients and to the entire community. Please contact our Voter Registration Advocates at 252-522-9800 with any questions or for additional information. If you are interested in becoming part of the Advocacy Task Force, please contact Anna Kinsey, Health Center Advocacy Team Leader, at 252-522-9800 ext. 252.